Building on a Database of More Than 20,000 Results: HAVER&BOECKER Reveals the Value of the FT4 Powder Rheometer for Developing High Performance Packaging Solutions. 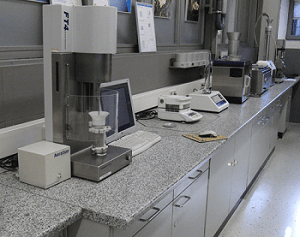 HAVER&BOECKER (Oelde, Germany), a leading developer and producer of screening and packing machines for the processing industries, has revealed the pivotal role that dynamic testing with the FT4 Powder Rheometer® plays in ensuring the delivery of optimal, low risk packaging solutions. Furthermore, with a decade of testing in place, at a rate of around 1000 products per year, the company is comfortably secure in its reliance on the instrument; reliability remains consistently high and maintenance requirements are minimal. HAVER&BOECKER develop integrated solutions, incorporating storage and conveying equipment, for packaging a wide range of industrial materials such as foodstuffs, chemicals, paints and cement. Extensive physical characterisation provides the basis for the design/selection of each customised packaging solution. We measure a wide range of parameters, including particle size, moisture and fat content, and density, but, until we adopted flowability measurements with the FT4, part of the picture was always missing. This was despite our best efforts with other testers such as a Jenike shear cell. 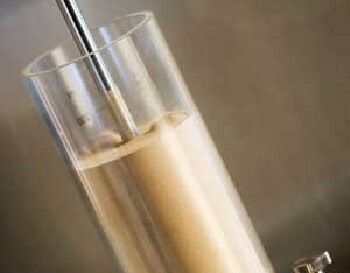 We now measure the flowability of every sample we receive. Comparing the results with the database we have developed over a decade of testing helps us to identify the best packaging solution for every product and minimise investment risk. Ensuring continuous material flow through the system is vital and relies on selecting equipment that is well-matched to the inherent characteristics of the material. Early attempts at measuring flowability centred on the use of Jenike shear cell but this proved both time-consuming and unreliable, and gave results that were difficult to interpret with respect to equipment choice. Dynamic testing, in contrast, is quick and efficient and provides highly relevant data. The FT4 is very easy to use. Freeman Technology provided us with great training at the outset and we have never had any problems with measurement or functionality. Over the years we’ve upgraded the associated computer but with regards to spares and hardware nothing has been required, despite the fact that we use the instrument every day. With an extensive database now in place testing helps us to identify, for example, which drive will work best in the conveyor and where we will need aeration jets to lubricate the powder and enhance flowability. 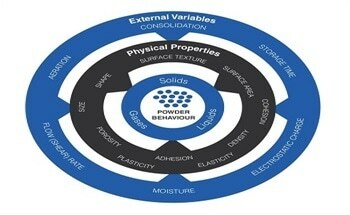 Minimising the air content in packed powders maximises bag fill and is a defining goal. By robustly quantifying flowability, dynamic testing helps HAVER&BOECKER to reduce the amount of air in the process to a minimum, thereby optimising throughput, while at the same time de-risking the process with respect to blockages/downtime. For us, customer satisfaction relies on defining a processing solution that will work reliably for their product, from the outset, without modification or troubleshooting. 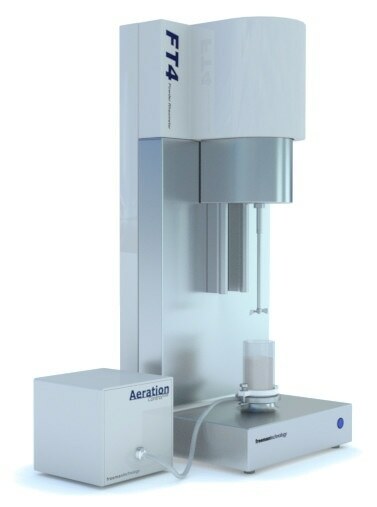 The FT4 plays an important role in helping us achieve this goal and is the most relevant instrument for powder flowability measurements that we have been able to identify.